the alumni of Durham Attack! playing for Guelph Gryphons starting in September 2010.
for the Durham College team, starting in 2010.
for Tulsa in 2009, and Flagler College in 2010.
at Wilfred Laurier starting in September 2009. Humber College starting in September 2009. 2009, and Queens University starting in 2010. Ryerson starting in September 2009. Libero for the Durham College team. 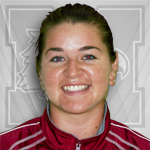 for McMaster Marauders starting in September 2009.
action and her defending skills … defensive digging, and what not. stronger, her attacking pieces are going to get really good. control attacking with a variety of shots. She will be fun to watch”. playing for the University of Guelph Gryphons. Gerrits is playing at Nipissing University in the OCAA. at Durham College in 2007.
is playing for Mohawk College, starting in September 2008.
is playing for the University of Guelph Gryphons. playing for the University of Western Ontario Mustangs. finished 4th in the CIS. that will make him a successful volleyball player for years to come. playing for the University of Windsor Lancers. is playing for Humber College. is playing for the University of Central Florida. and national championships. Vukson is in her final year at St.
athlete that brings great size to the setting position,” added Allen. named Conference USA setter of the week in October 2008. University of Western Ontario squad in 2007.
played libero for Brock University. for Durham College in 2007. Durham College from 2003 – 2005.
the Assistant Coach in 2007 and starting Libero in 2008.
was honoured as Freshman Athlete of the Year for all of Humber sports. the number one spot in the Ontario Colleges Athletic Association (OCAA). OCAA Athlete of the Month. named OCAA player of the year and was an all-Canadian selection. key player in the Marauders’ recent OUA championship. East and was instrumental in their success. come in and make an immediate impact in our league and our program. outside hitter at Syracuse University in Fall 2006.
off to compete in the Canadian Western Inter-University League. him with the game of volleyball. playing volleyball at the age of 10 in Grade 4 at Meadowcrest P.S. Ontario, where he is studying Kinesiology. play for Lakehead University in Thunder Bay. her team to a Silver medal at the tier two provincial championships. and led her team to a Gold medal finish. the coaches that have touched her volleyball life. Fanshawe from 2004 – 2007. Kim plays for Marquette University Golden Eagles. with 10 kills and 10 digs, and a career best with 24 kills against USF. registered 22 kills, 13 digs and nine blocks in a win over Wildcats. 17 kills, and adding 14 digs in the sweep of the Scarlet Knights. match, while hitting .520 in Marquette’s 3-2 decision over Seton Hall. 2004 she was the only freshman to play in all 26 matches. competition within the Big Sky Conference. Durham College from 2003 – 2006.
spent four years as a member of the Durham Attack Volleyball Club. Regional teams and at the elite camps. School Volleyball team and was Female Athlete of the Year. Year on the Mac team. university players in Canada in her Blocking percentage. 2007-2008 Sarah was a key player in McMasters OUA championship. 2007-2008 Breigh was a key player in McMasters OUA championship. 2002 – Lindsay Gosse – St.
figure on the volleyball team. and become a high school teacher and coach. member of the Durham Attack volleyball club, playing for six years. Provincial B Team in 2001.
player, medaling in many OVA events. Leadership, Athletics, and Skill Development from Prince Edward. where she is starting Right Side for the Lords.